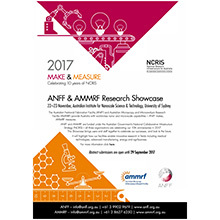 Australia’s breakthroughs in quantum computing, gene therapies for cancer, world-record solar cells, and lithium-free power sources for electronic devices are just a few of the technologies that will be presented at the 2017 ANFF–AMMRF Research Showcase happening 22–23 November at the University of Sydney’s Australian Institute for Nanoscale Science and Technology. 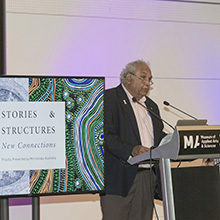 Many of these breakthroughs would not have occurred in Australia without support from the National Collaborative Research Infrastructure Strategy (NCRIS), whose tenth anniversary is also being celebrated at the event. 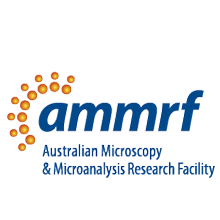 ANFF and the AMMRF are the two NCRIS facilities jointly contributing to Australia becoming a powerhouse for micro- and nanotechnology research. The “Make and Measure�? event showcases their achievements by providing a platform for the researchers they support to share their results. The Australian National Fabrication Facility (ANFF) supports development of manufacturing processes to “make�? 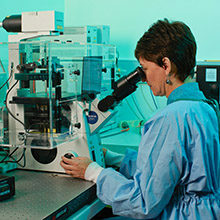 small devices and materials, while the Australian Microscopy and Microanalysis Research Facility (AMMRF) uses their sophisticated microscopes to “measure�? many aspects of new materials, biological structures and the devices made at ANFF. The vaccine Nanopatch™ is a perfect example of NCRIS research infrastructure contributing to the creation of a highly innovative technology that is being presented at the Showcase. This vaccine delivery platform, being commercialised through Vaxxas, is set to revolutionise global vaccination programs. Economic impact thanks to NCRIS. NCRIS investments into ANFF and AMMRF have been a catalyst for home grown technologies that have attracted significant investment both within Australia and from international sources. The top six technologies, which could not have happened without NCRIS support into micro and nanotechnology have attracted over $450M in private investments, more than double the amount that the commonwealth has contributed to ANFF and AMMRF. Of this $450M, about half has come into Australia from foreign sources. Between ANFF and AMMRF there are more than 450 industry users ranging from multinationals to SMEs, and many more spin-out companies that are being supported as they cross the valley-of-death from Australia’s top research groups into new Australian start-up companies.